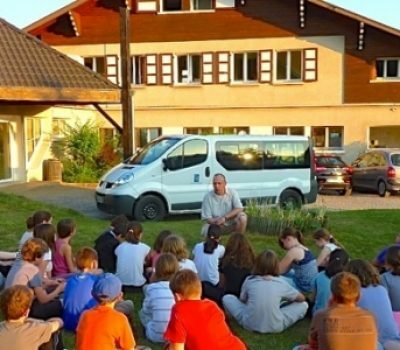 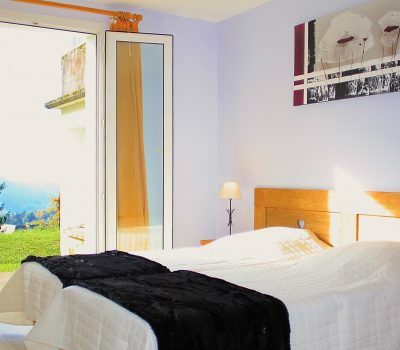 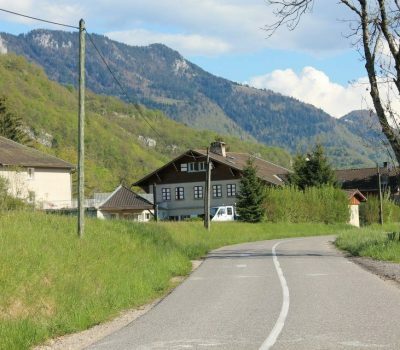 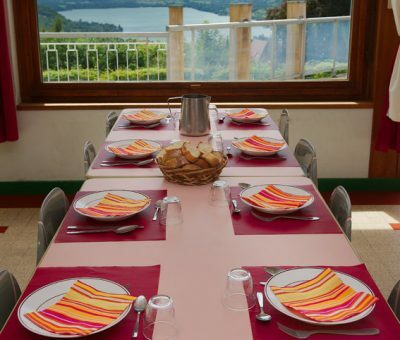 Les Alérions center, by means of its location and conception, is specifically adapted for welcoming large groups and caters perfectly for the needs of families, wishing to spend a few days in this idyllic site cocooned between lake and mountain. 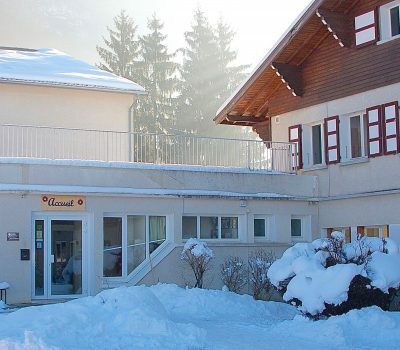 Maximum capacity of the center is 74 people. 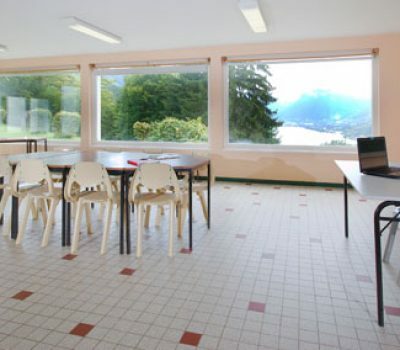 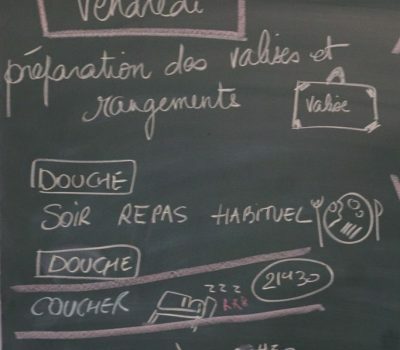 Two polyvalent rooms are available, both of which lend themselves for courses, seminaries and meetings. 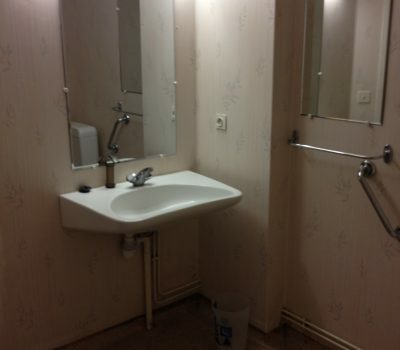 Capacity is 50 and 60 people, respectively. 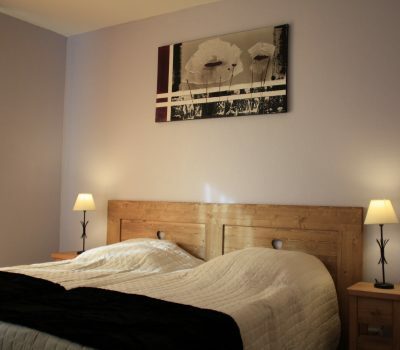 A sofa, television, ping pong table and drinks machine are located in the recreation lounge. 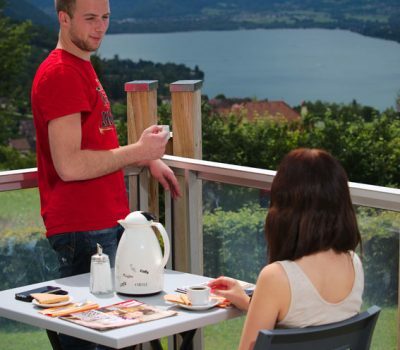 In terms of restauration, the catering facility takes up to 75 covers. 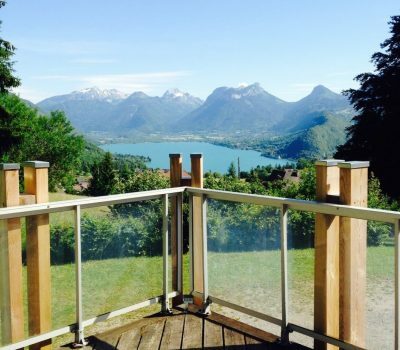 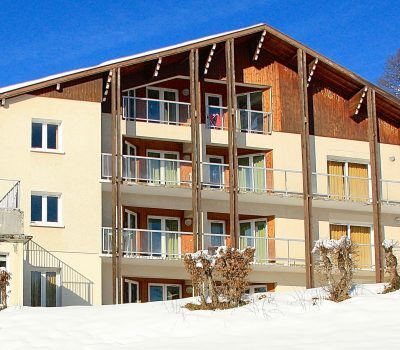 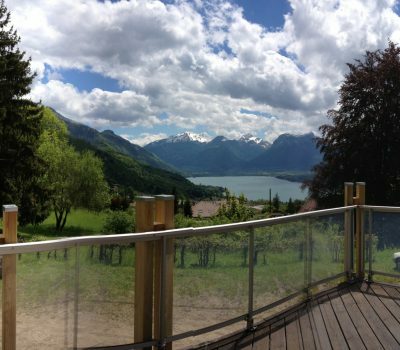 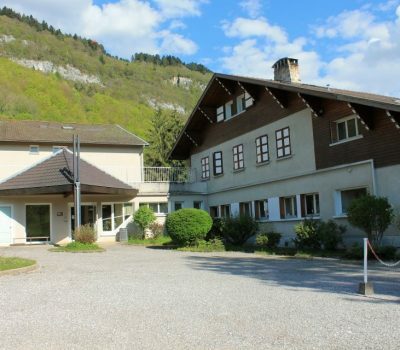 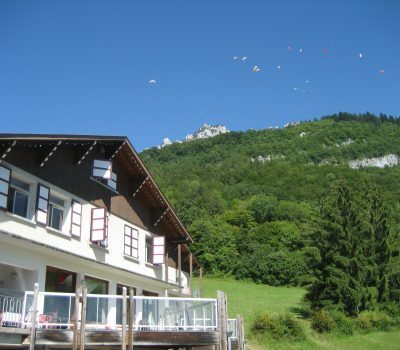 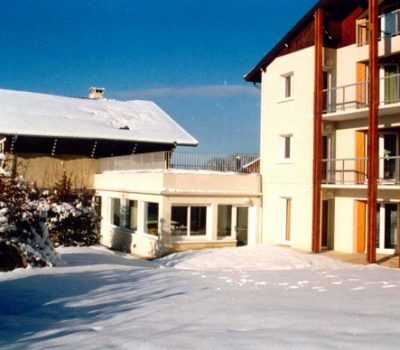 Furthermore, the complex enjoys a large terrace with views over the breathtaking lake of Annecy. 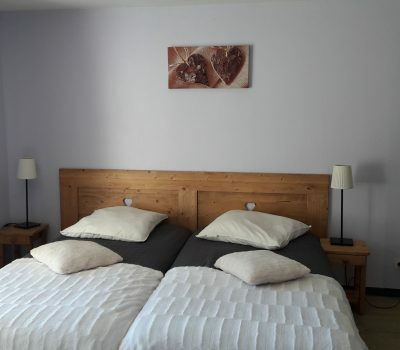 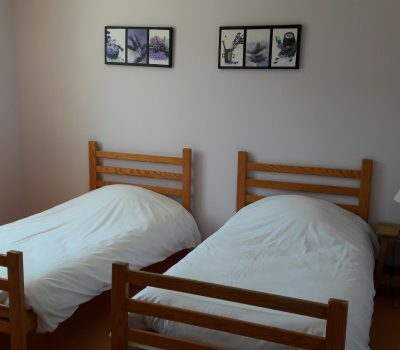 Two rooms each featuring 2-3 single beds and offering superior comfort. 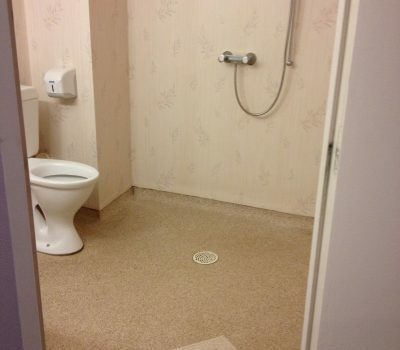 The first room presents itself with an en-suite bathroom, complete with shower. 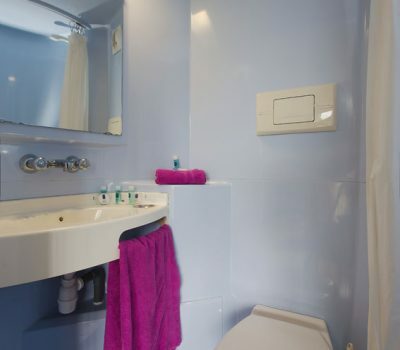 The second, also equipped with an ensuite bathroom complete with shower, is especially designed for anyone of reduced mobility. 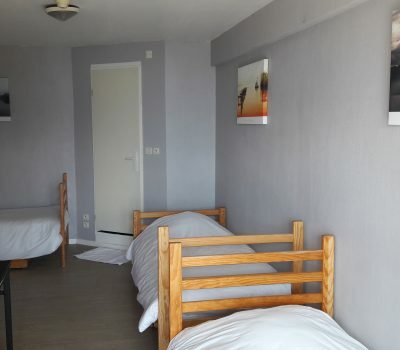 24 classic comfort rooms are available. 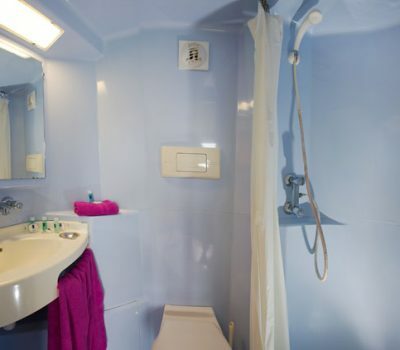 All equipped with a cabin with WC, sink and shower. 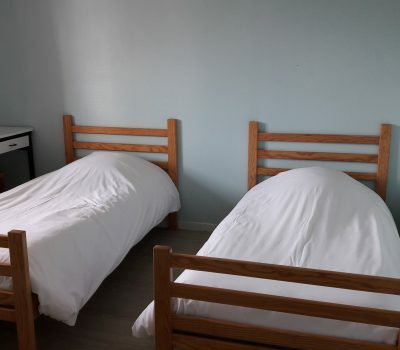 Possible capacity from 1 to 5 beds per room, some with bunk beds. 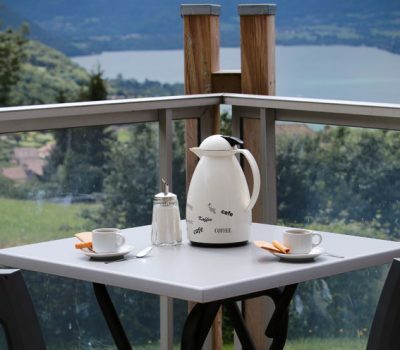 Some rooms have balconies overlooking Lake Annecy. 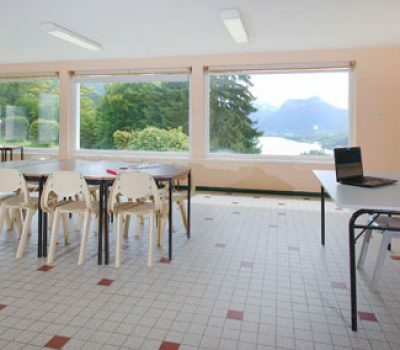 Two rooms available for courses, seminaries and meetings. 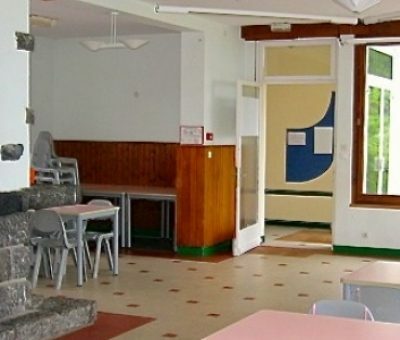 Please note that a recreation room accompanies breaks during your days and comprises a sofa, television, ping pong table and drinks distributers. 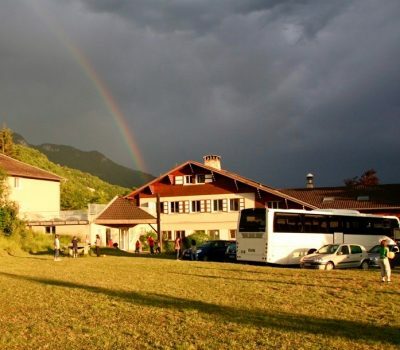 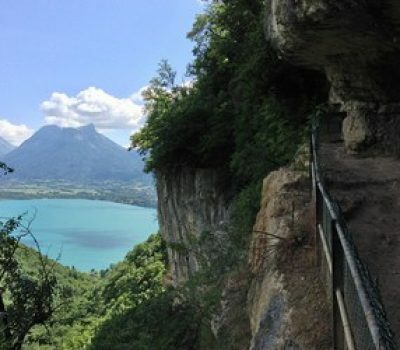 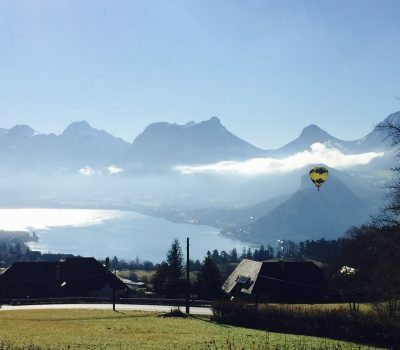 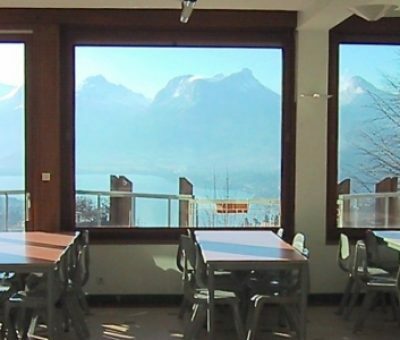 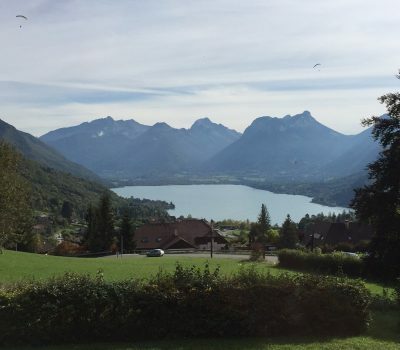 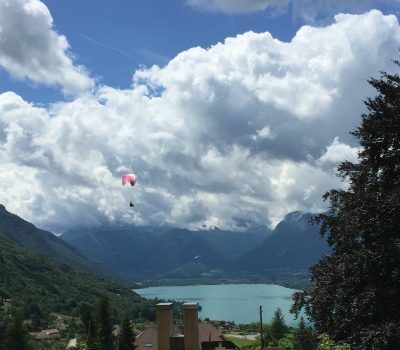 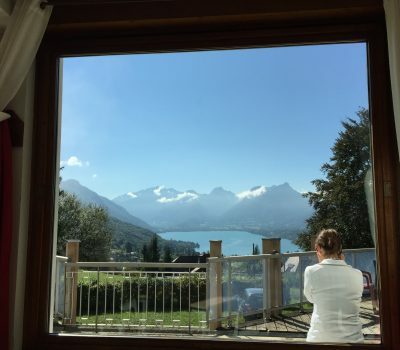 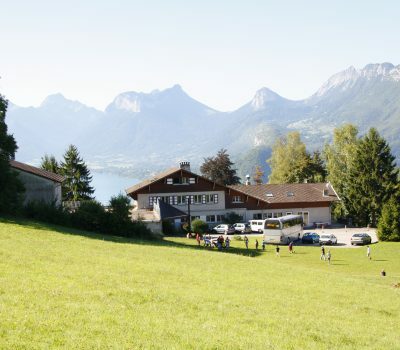 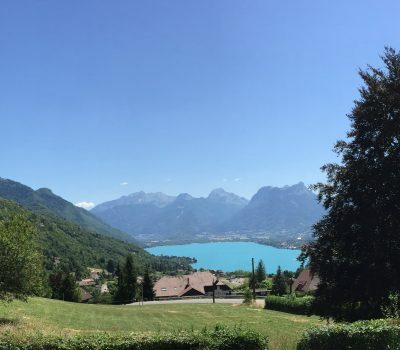 In terms of restauration, the catering facility can take up to 75 covers for breakfast and meals, all while offering a magnificent view over the Annecy lake and surrounding mountains. 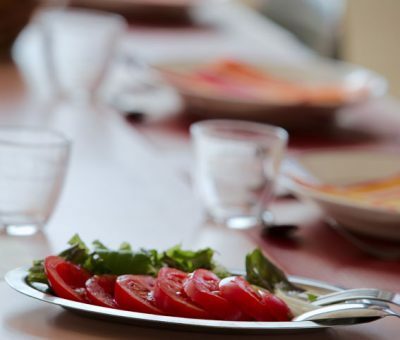 Meals are prepared within our center and presented in buffet style. 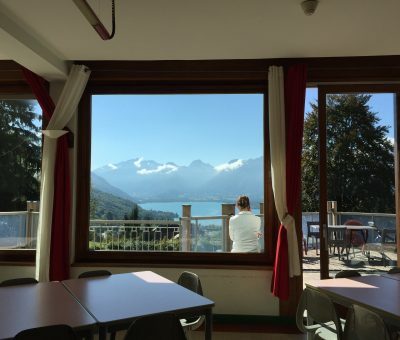 Each week a new menu is displayed at the welcome desk. 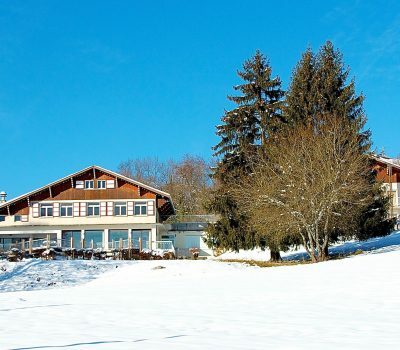 For the winter moments of the year, our fireplace brings a much appreciated and welcoming warmth. 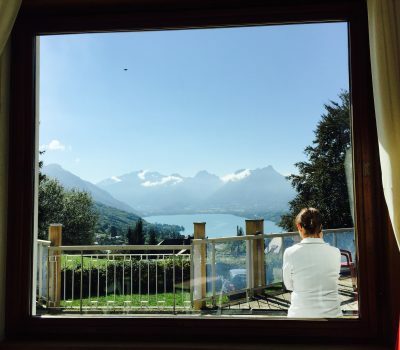 One of the biggest assets of the centre is no doubt our terrace where shots of the lake and surrounding mountains catch the beauty and memorable moments of your stay.